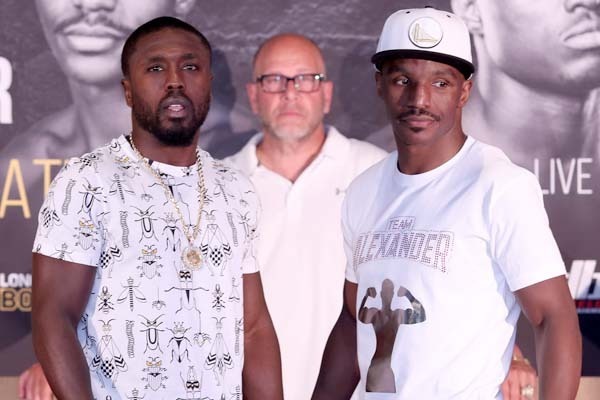 In a crossroads fight former welterweight titleholder Andre Berto 31-5 (24) gets the chance to extend his career when he faces former unified junior welterweight champion Devon Alexander 27-4-1 (14) over 12-rounds at the Nassau Veterans Memorial Coliseum in Uniondale, New York on Saturday night live on Fox in the USA. The former WBC welterweight champion is coming off a layoff himself with his last fight taking place 16 months ago when he was stopped in nine by Shawn Porter in April last year. It was just his second fight since losing a 12-round points decision to Floyd Mayweather Jr in his retirement fight in 2015. “We’re going to see if he’s back,” continued Berto. “If he’s not ready, then I’m going to make it a long night for him. Alexander came back from a two-year layoff to outpoint Walter Castillo over 10 last November and followed this with a 12-round majority drawn again Victor Ortiz in February. The 31-year-old St Louis southpaw has also faced Porter, losing a competitive 12-round decision for the IBF welterweight title in late 2013. “I’m still writing my legacy and Berto is just another stepping stone in my way,” said Alexander. “I have to get past him. We had a great training camp down in Florida.